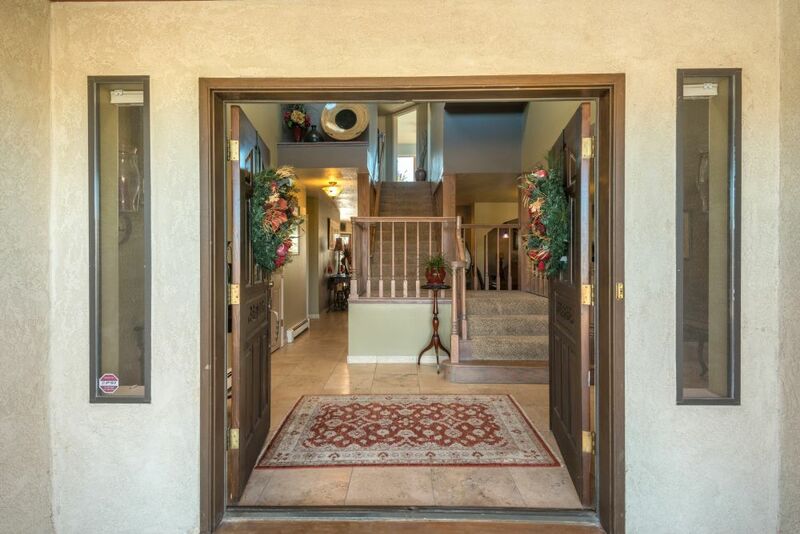 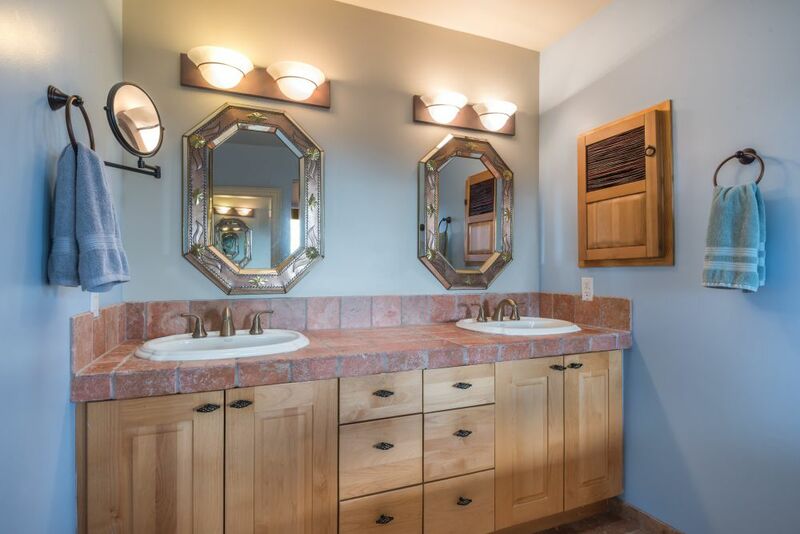 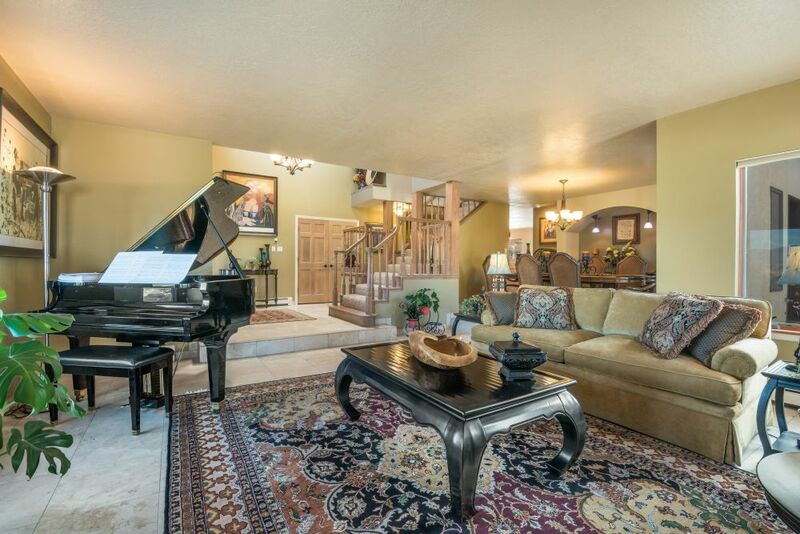 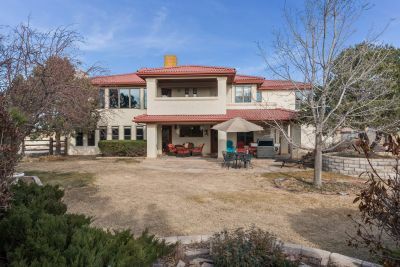 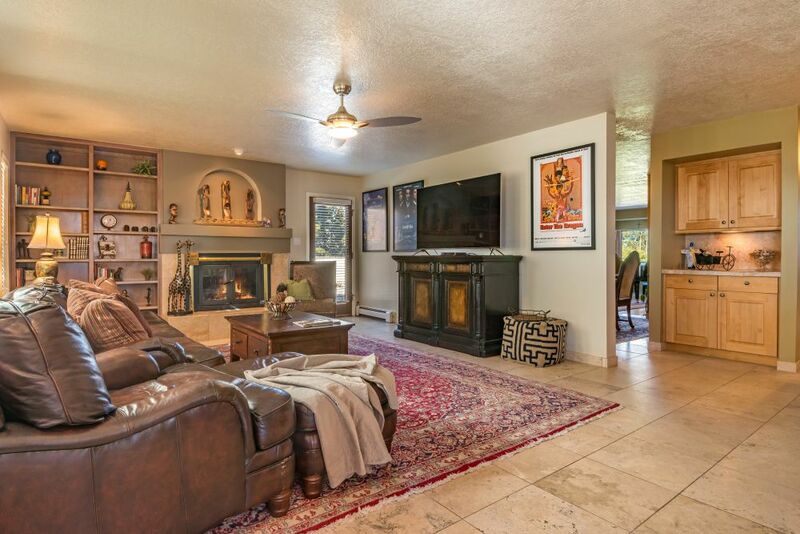 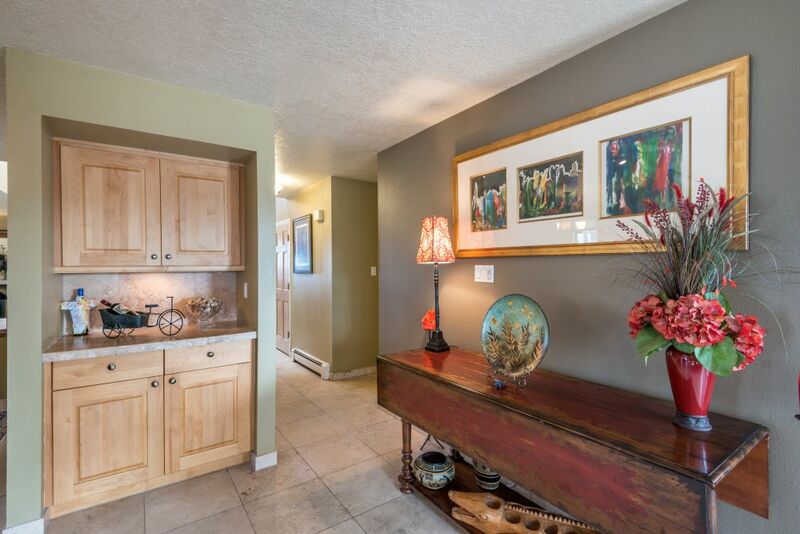 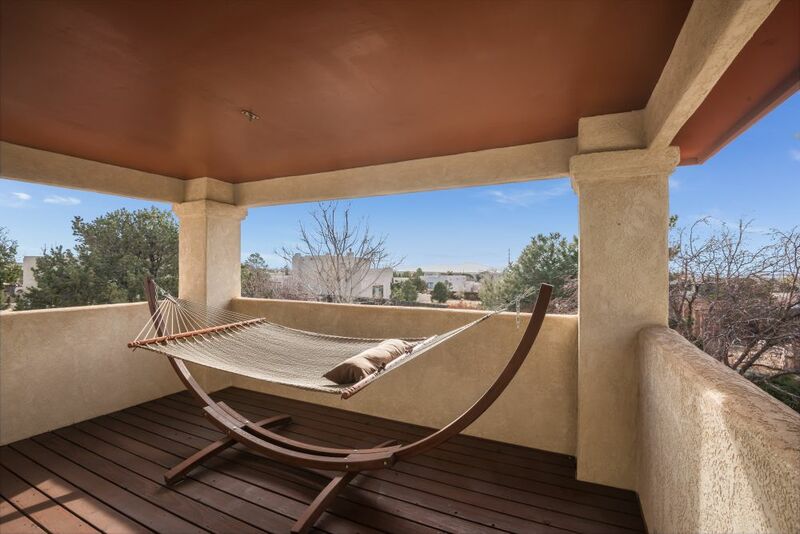 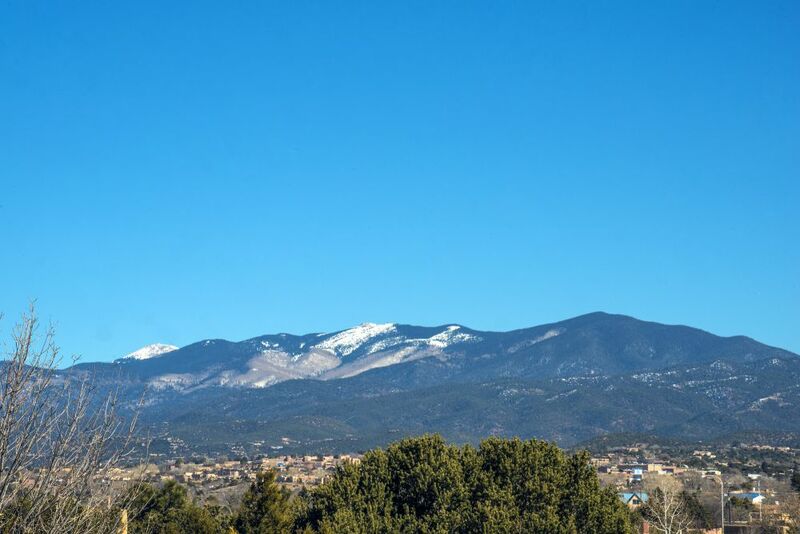 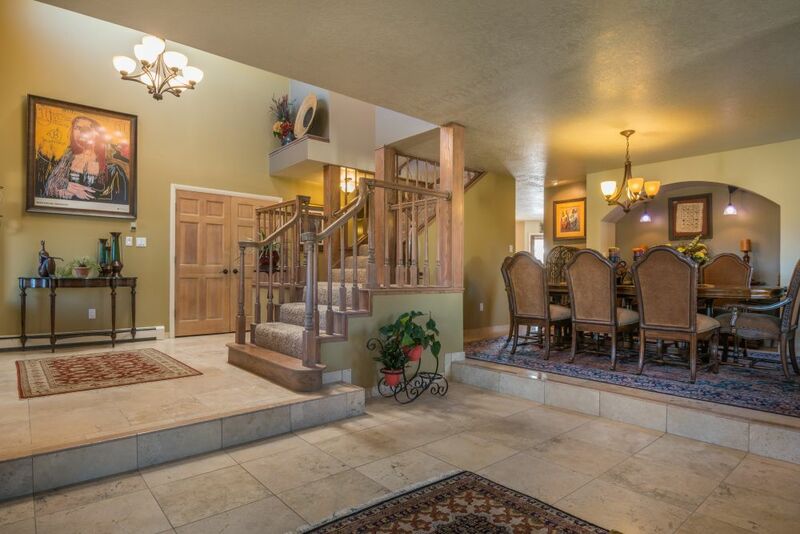 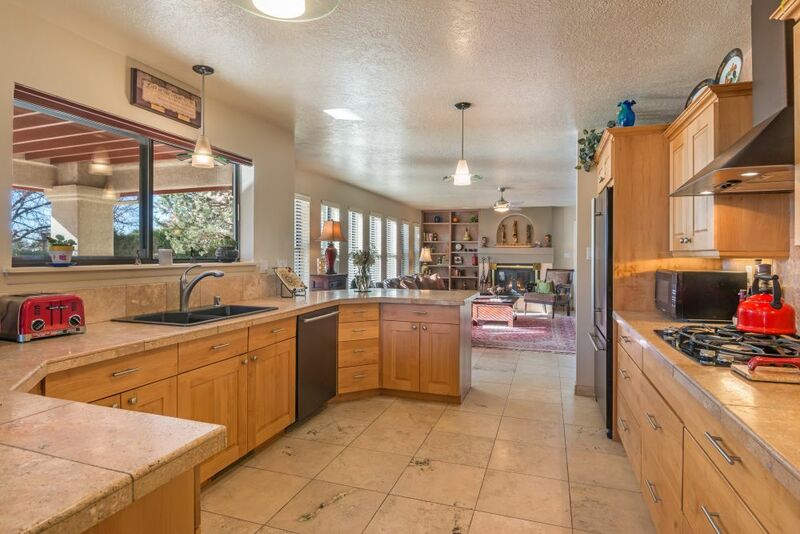 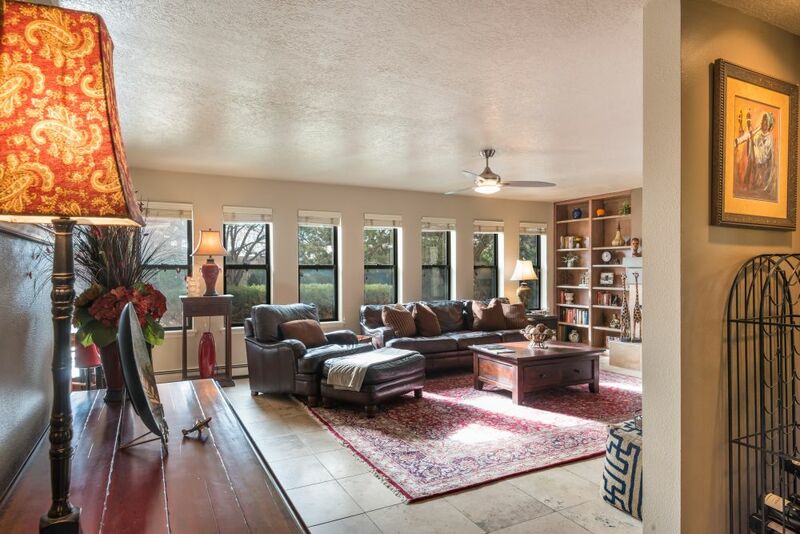 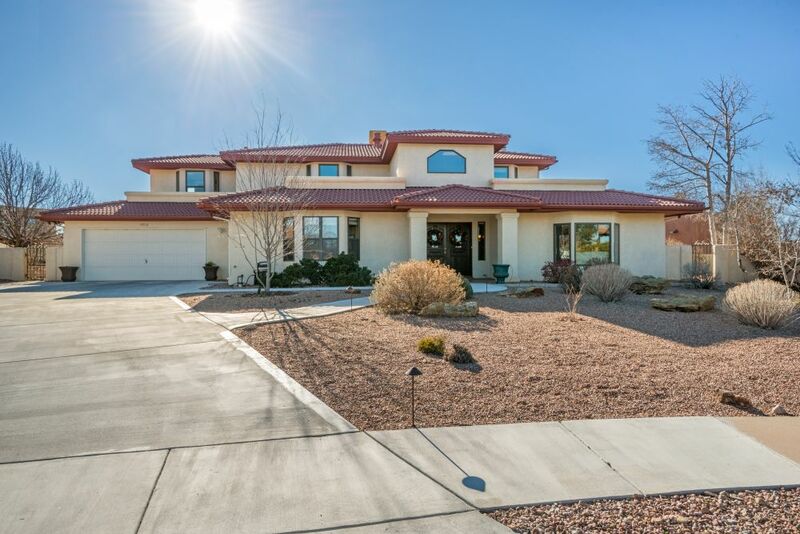 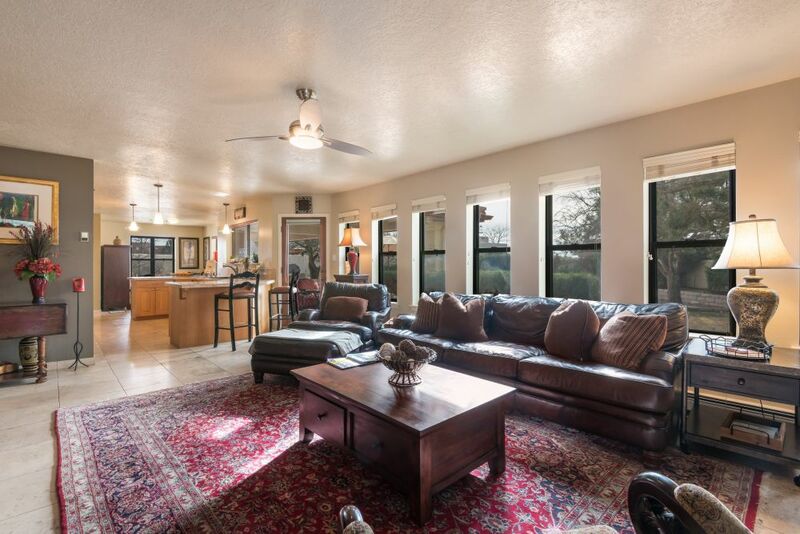 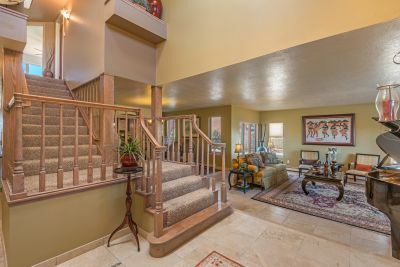 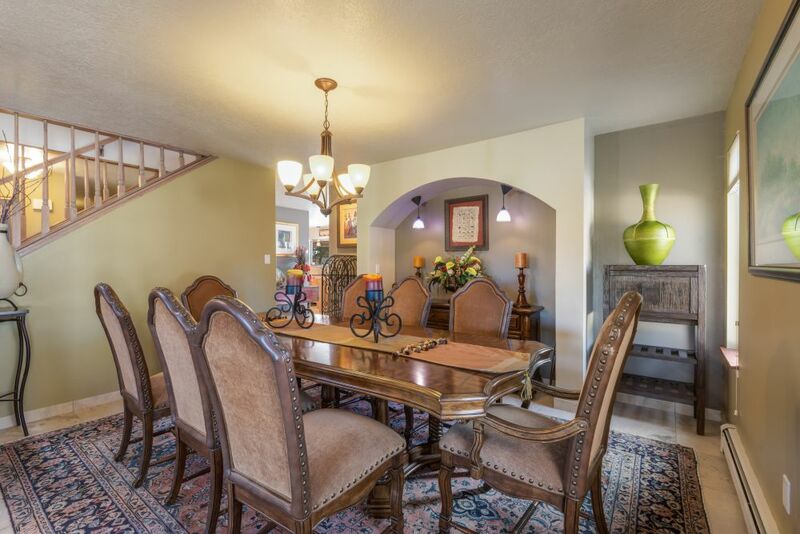 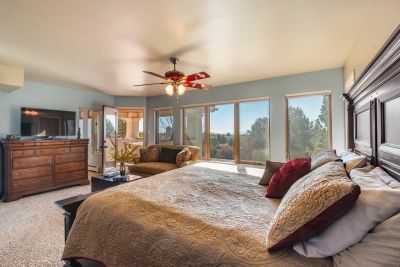 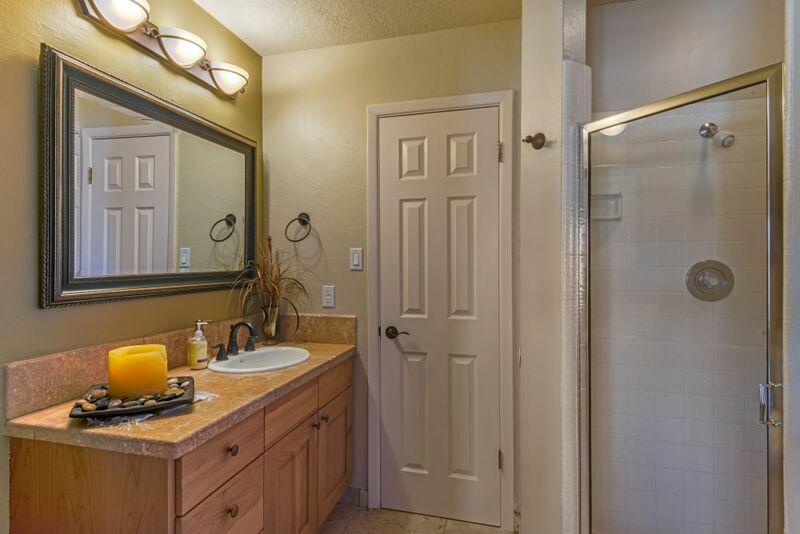 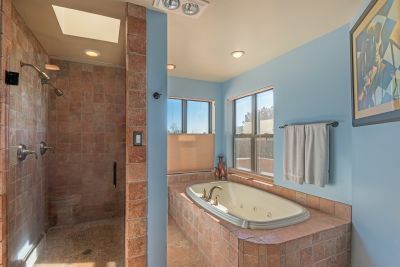 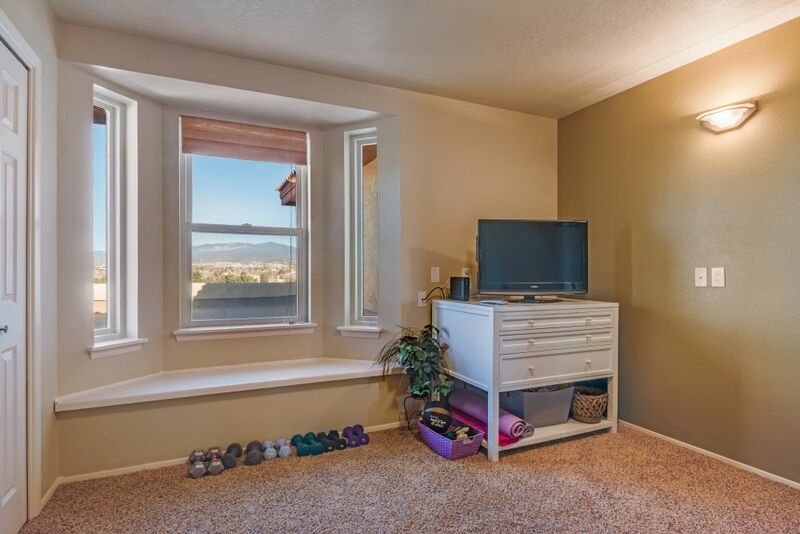 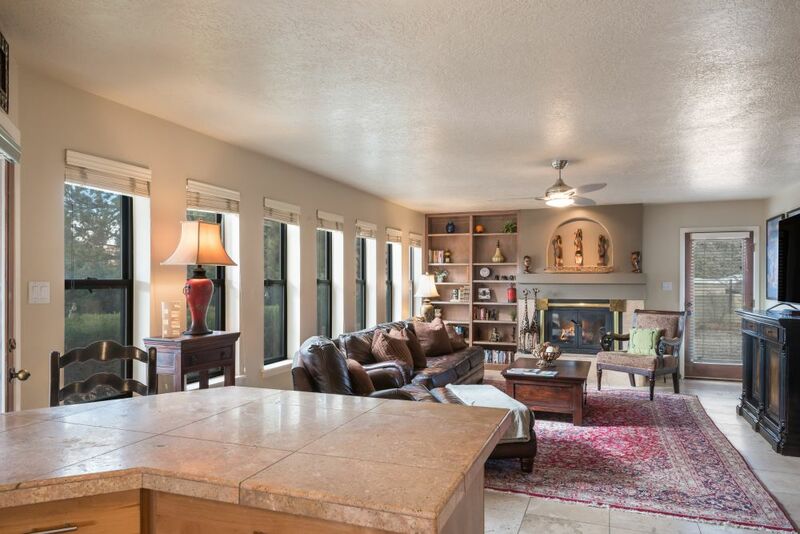 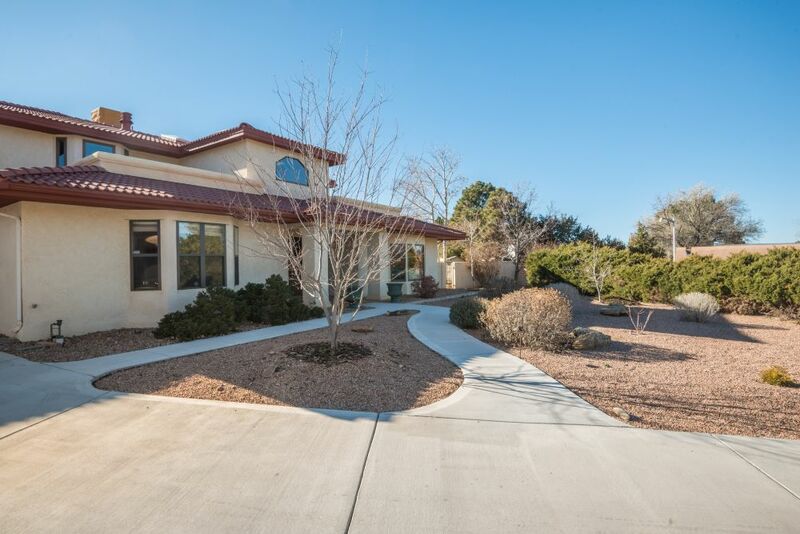 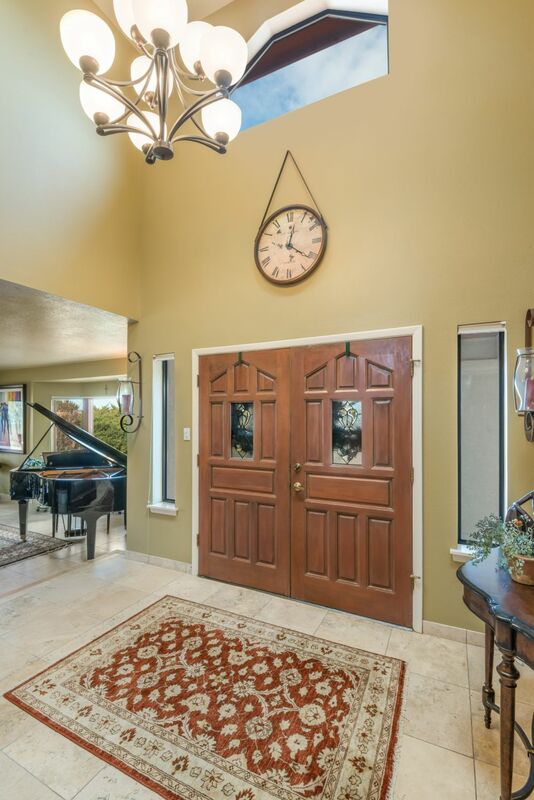 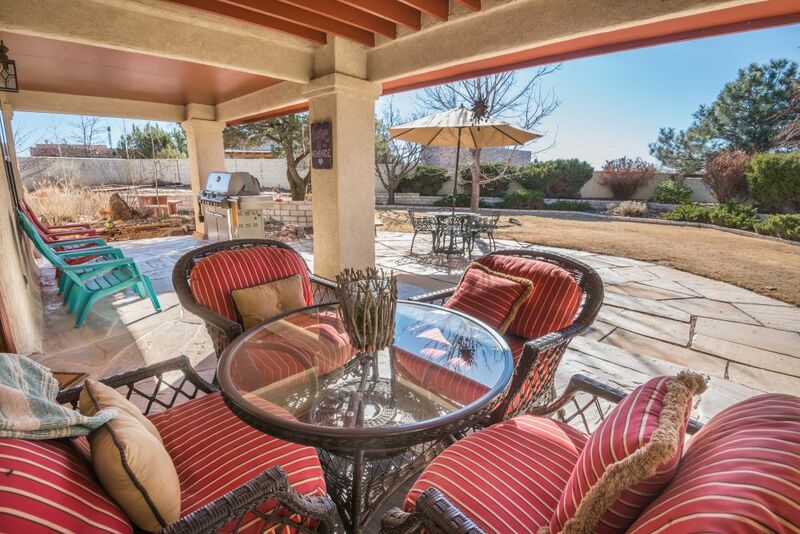 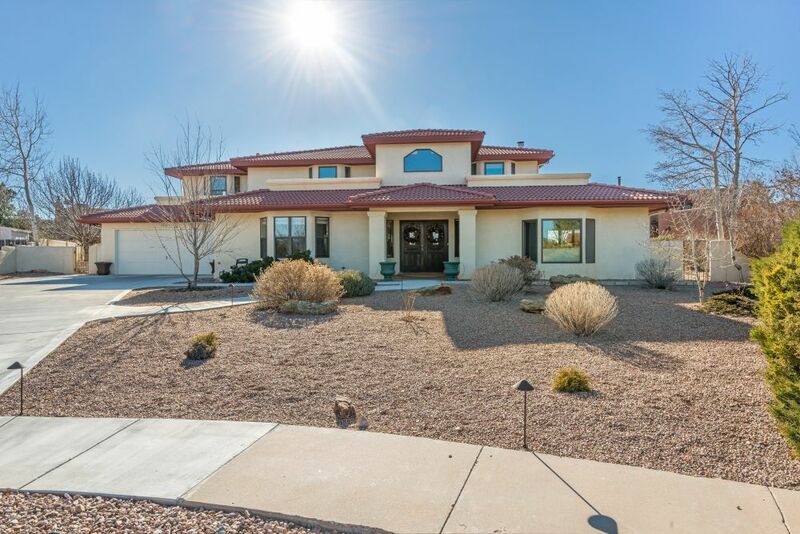 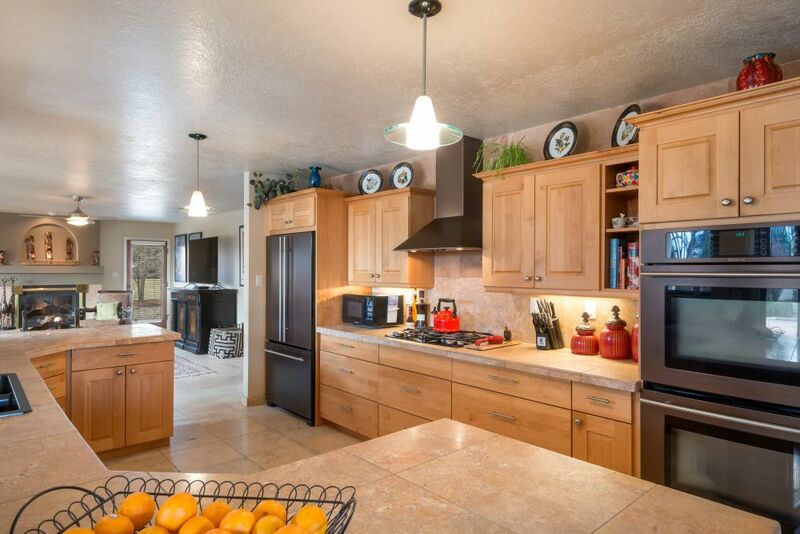 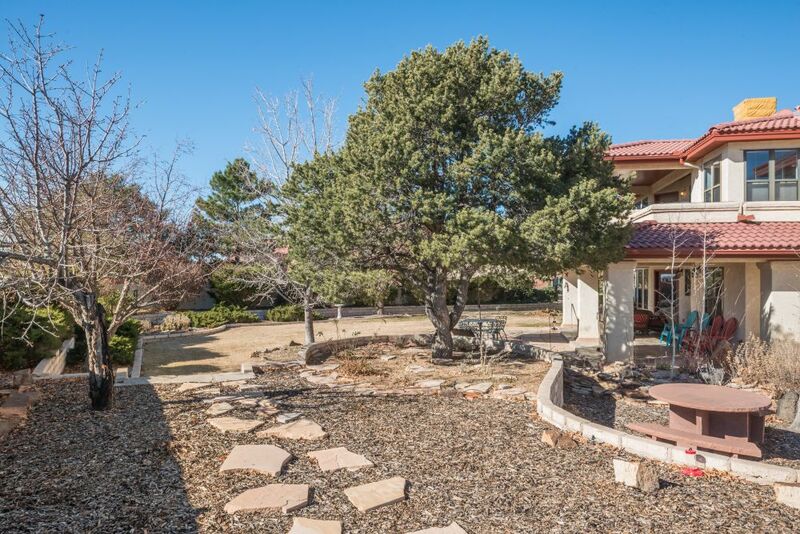 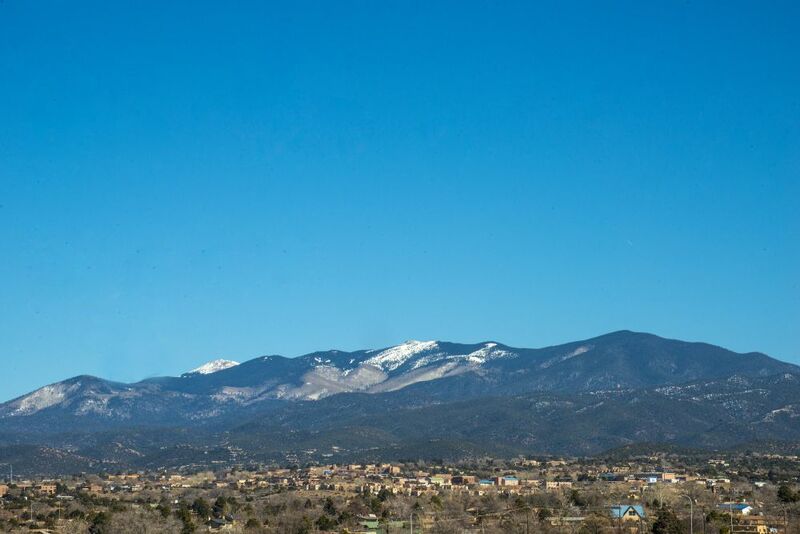 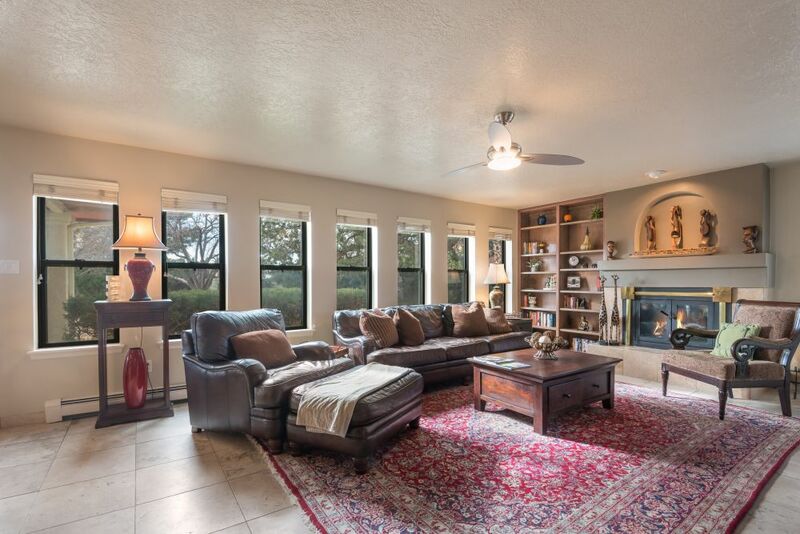 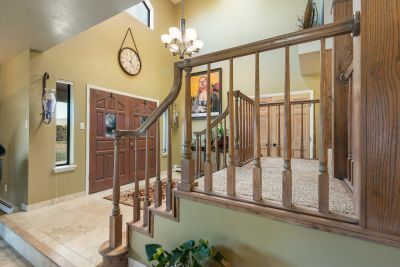 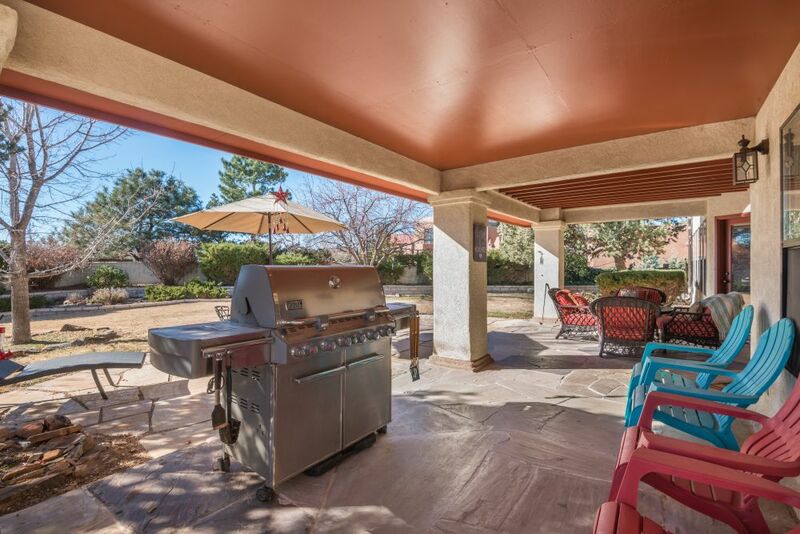 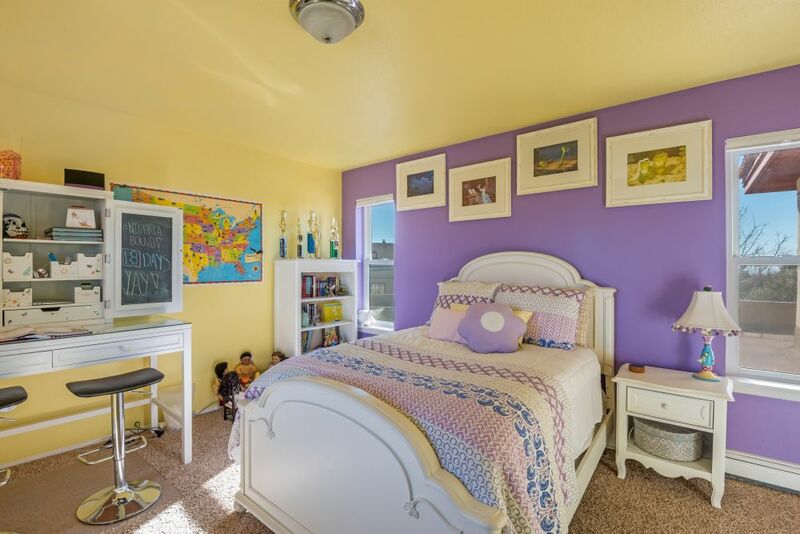 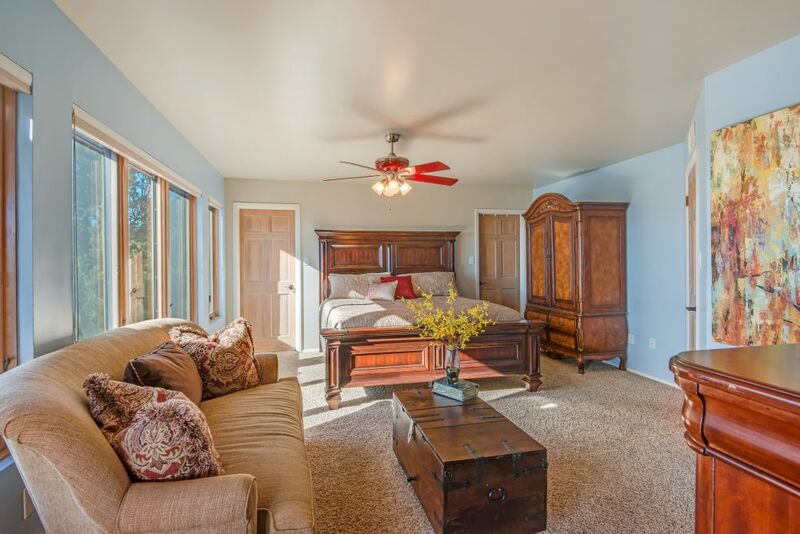 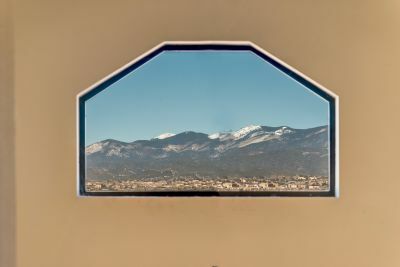 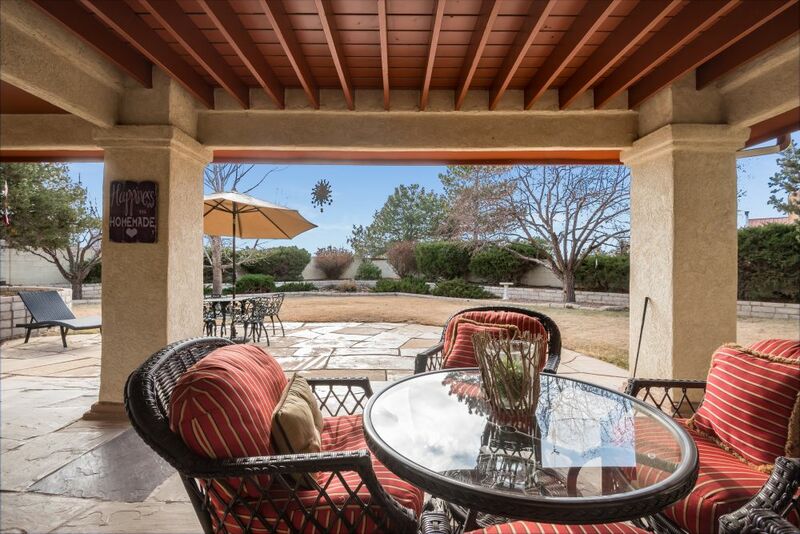 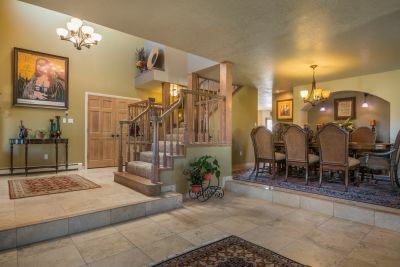 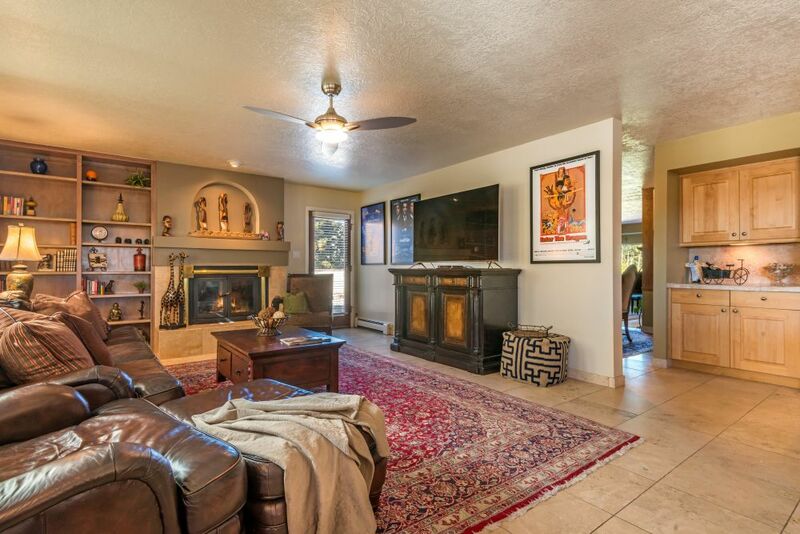 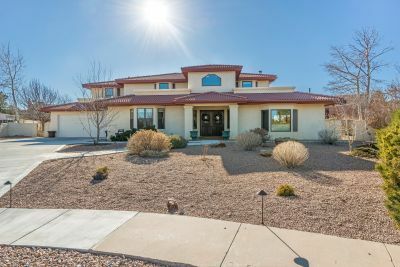 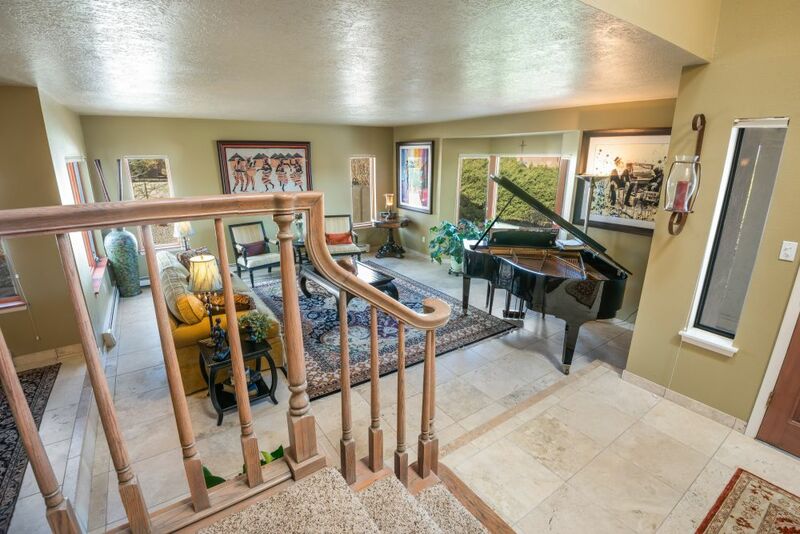 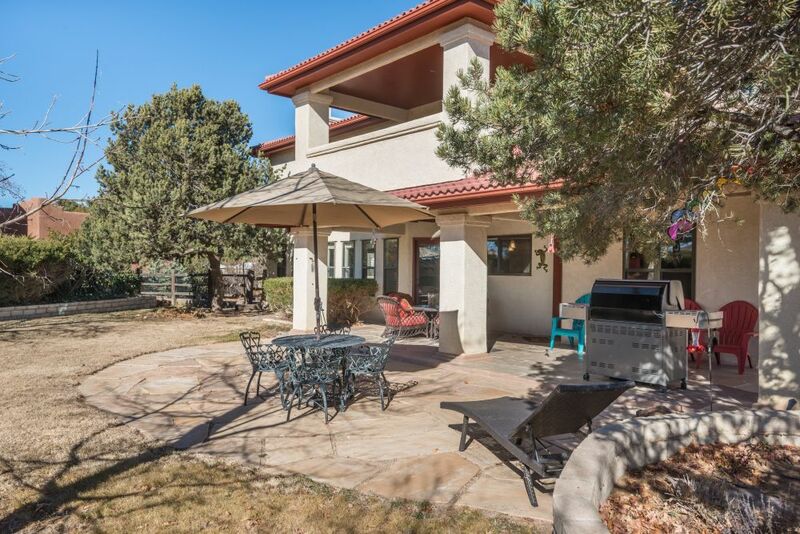 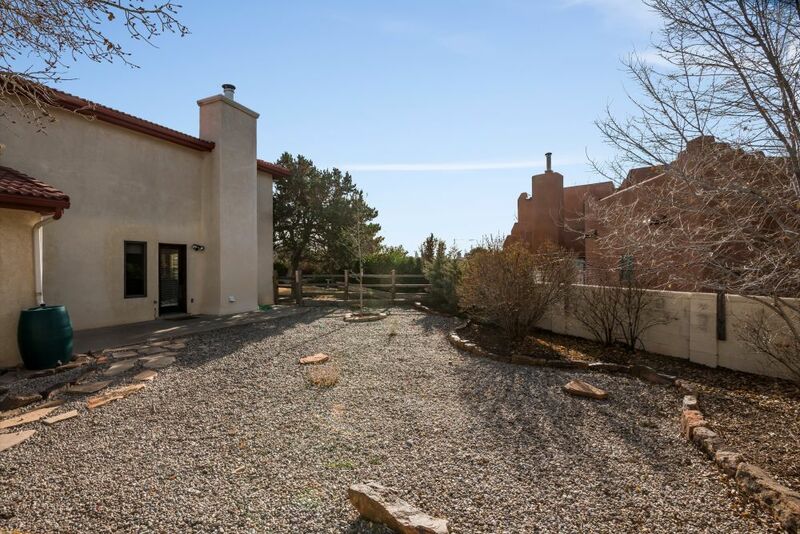 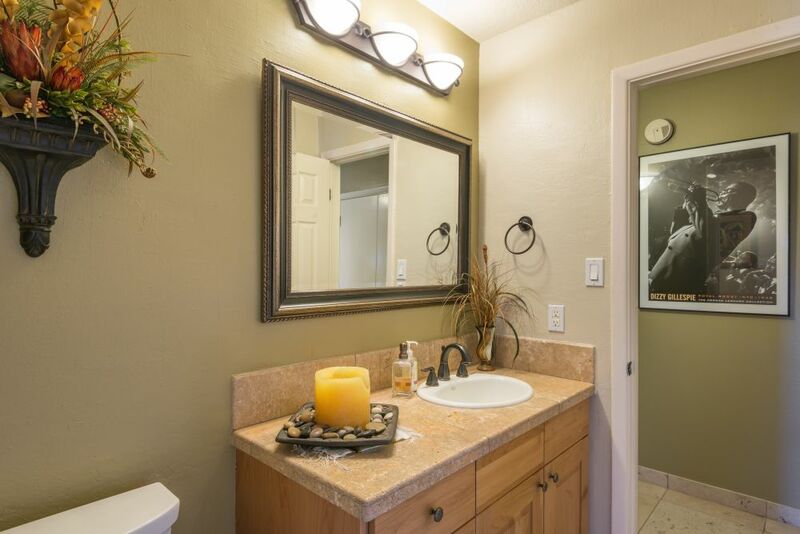 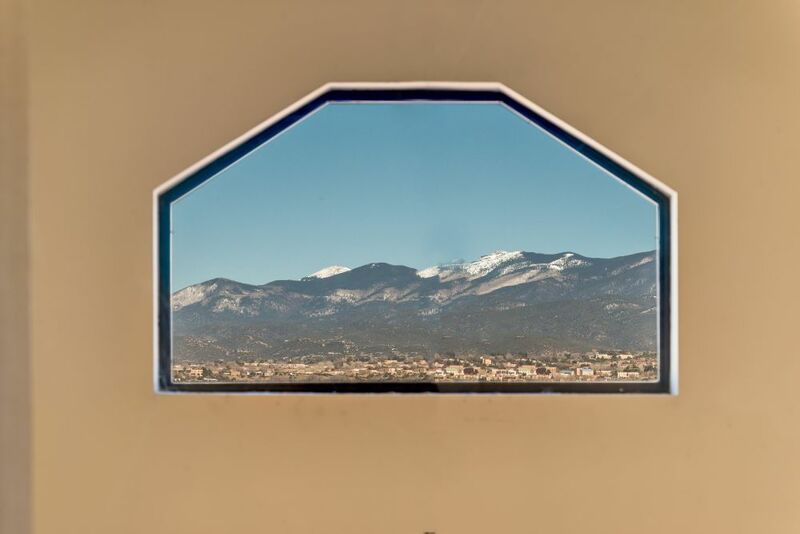 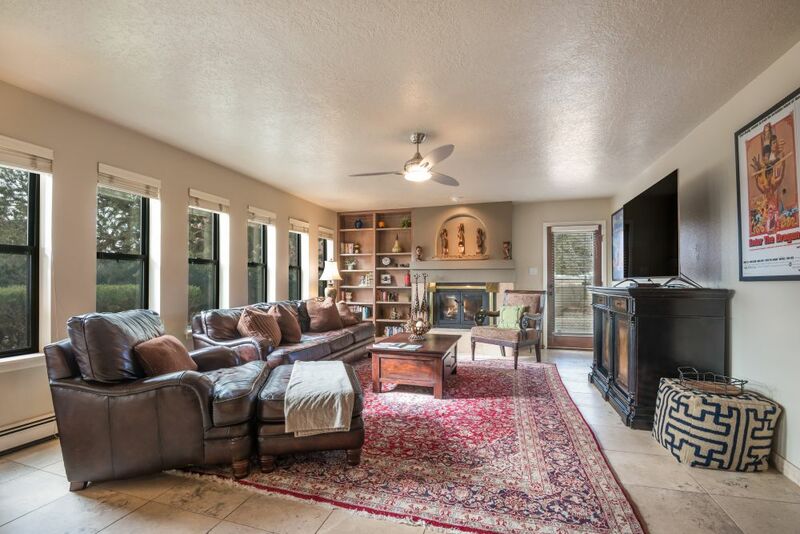 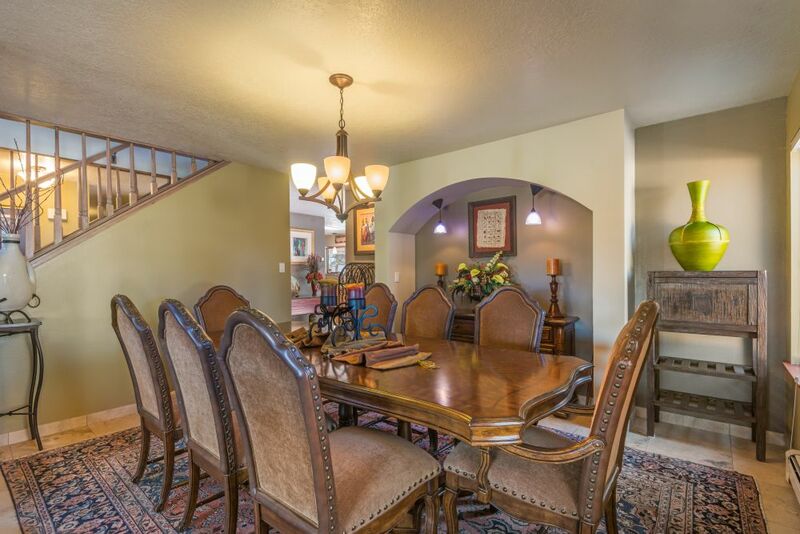 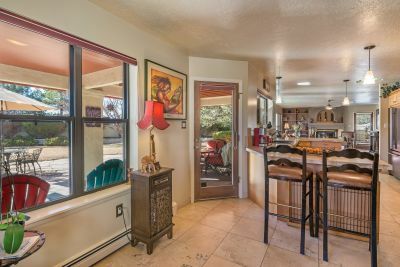 With spectacular Sangre de Cristo Mountain & city lights views, this marvelous 3,660 sq. ft. contemporary Mediterranean home in Via Caballero 3 is the jewel of this lovely neighborhood. 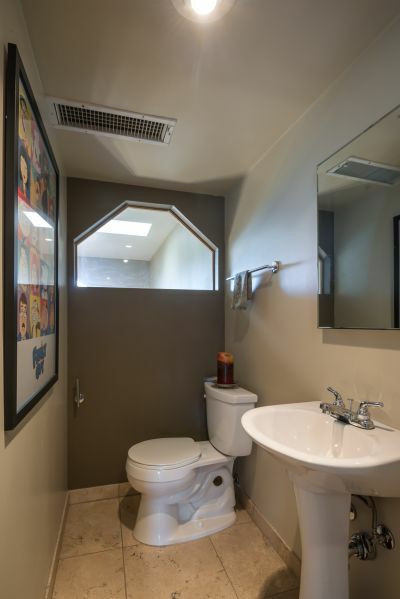 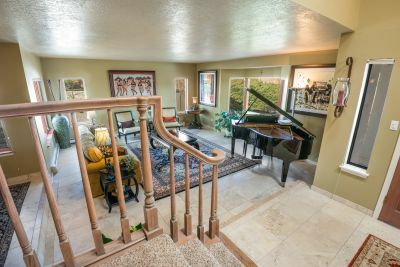 The extensive 2008, 2016 and 2017 renovations and upgrades included updated baths, a sleek remodeled kitchen with breakfast room and a spacious adjoining family room, travertine floors, energy-efficient windows, custom window treatments, stylish lighting, custom painted interiors in a sophisticated designer palette, significant landscape improvements, and so much more. 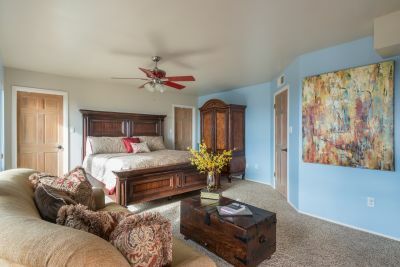 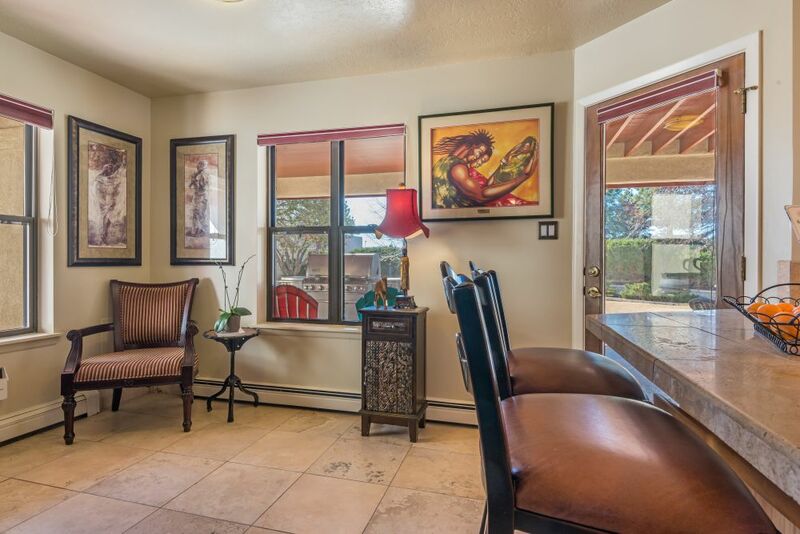 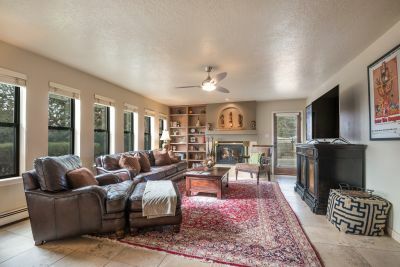 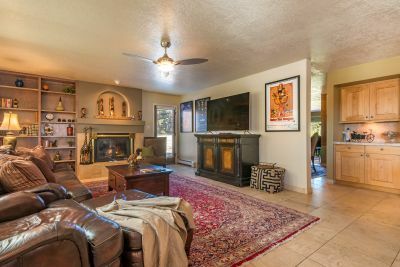 The spacious master with sitting area has a 15+&apos; long custom California Closet, luxurious bath, and a covered balcony overlooking the wonderful walled gardens, sweeping sunsets & mountain vistas. 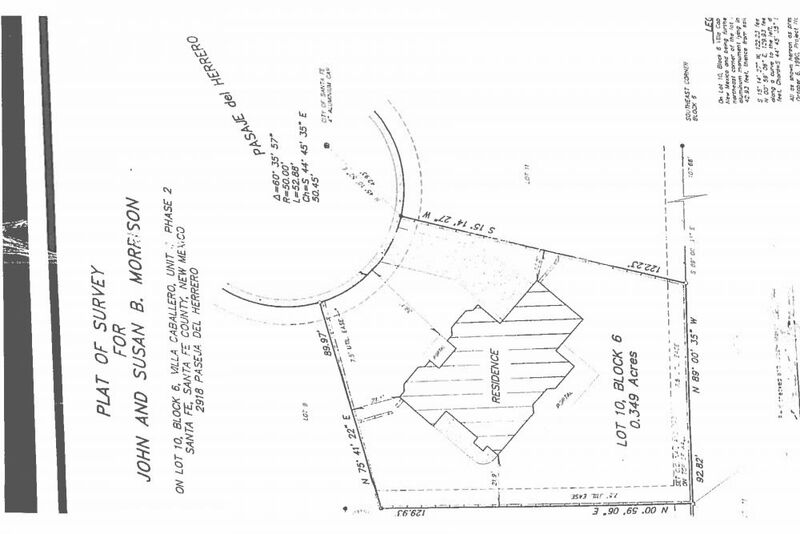 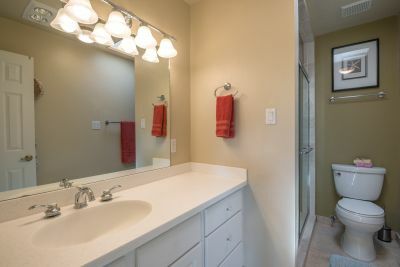 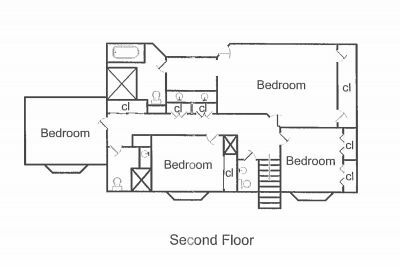 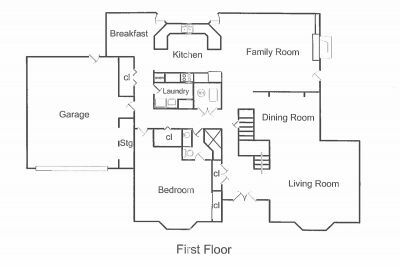 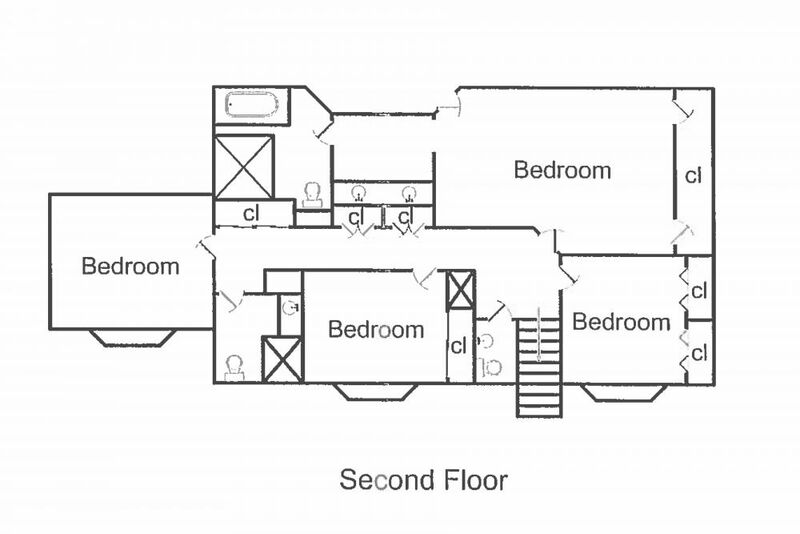 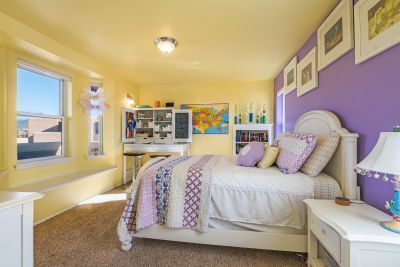 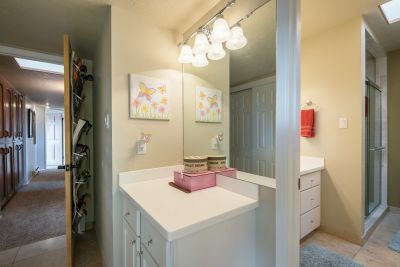 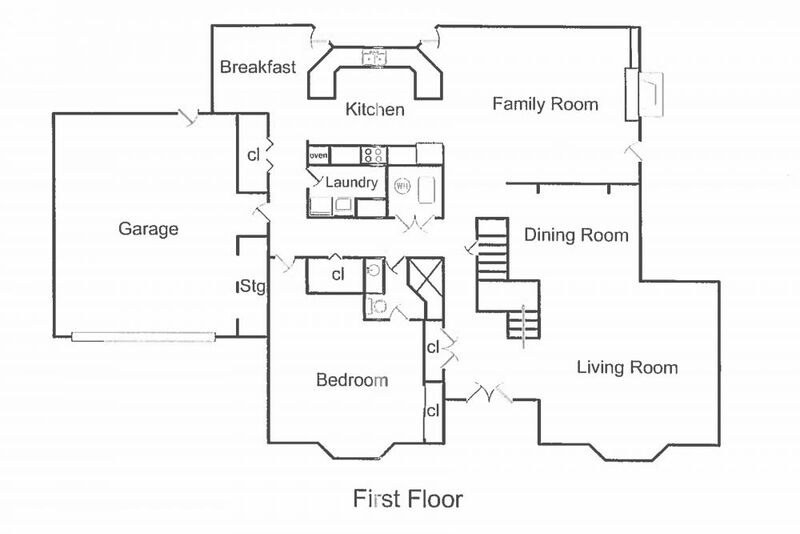 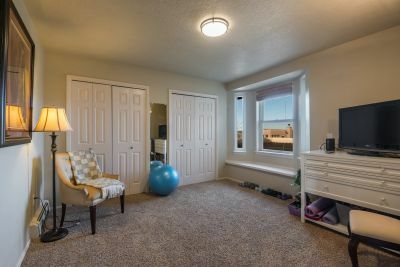 The flexible 4/5 bedroom floor plan is currently enjoyed as 3 bedrooms and a study/exercise room. 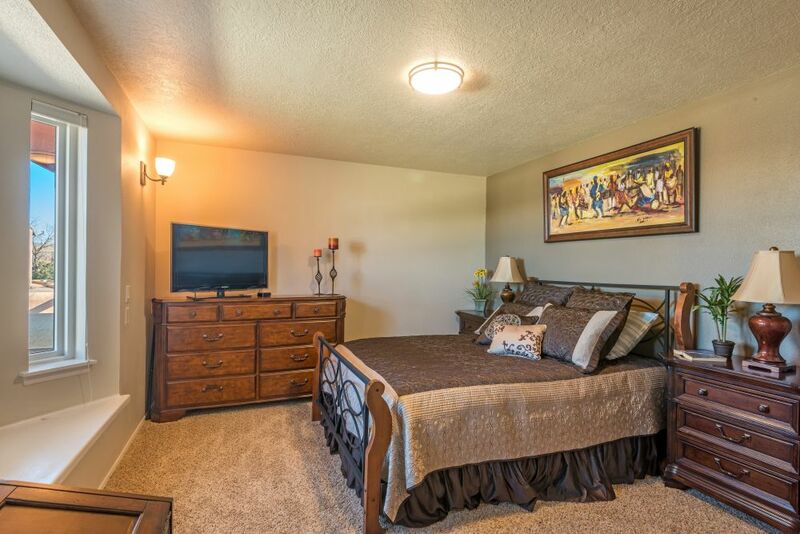 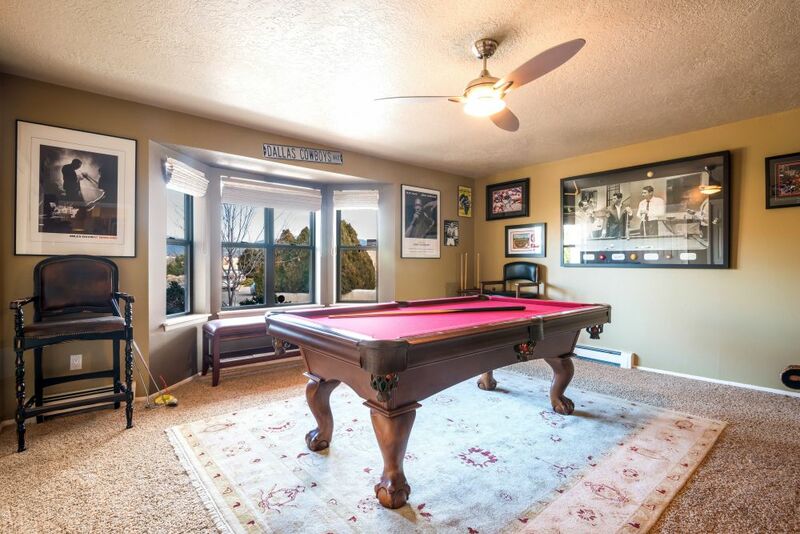 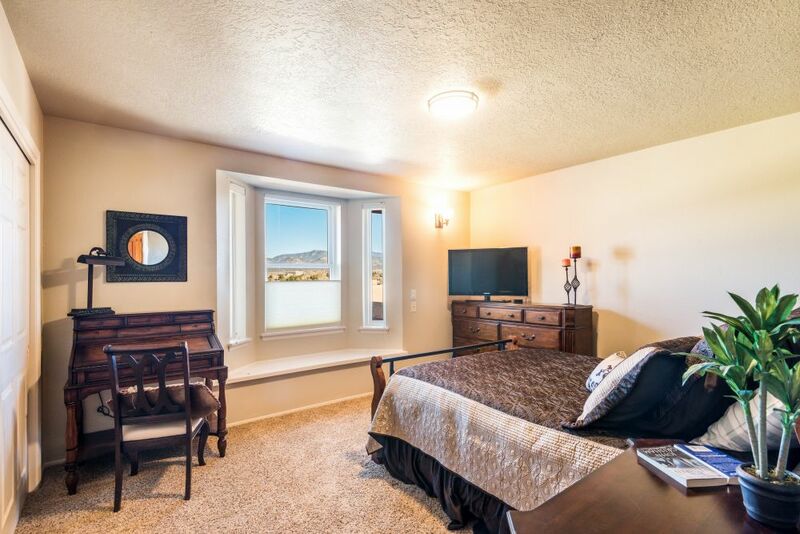 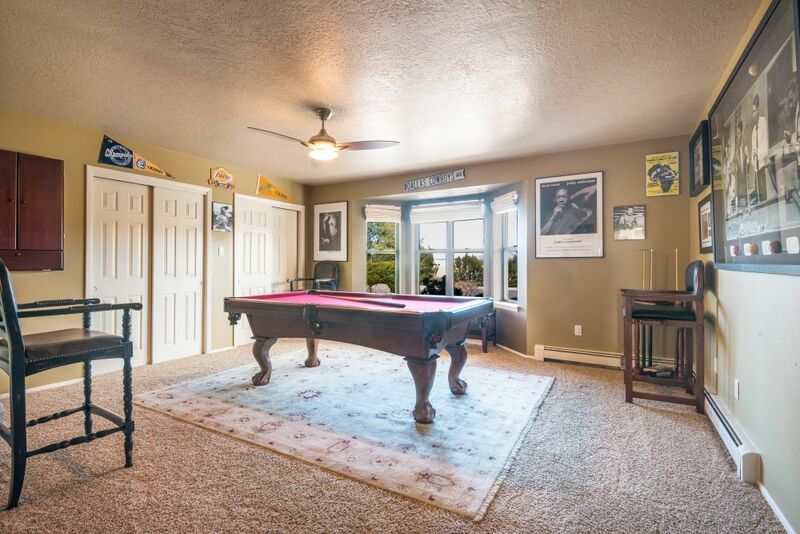 The generous game room can be a perfect 5th bedroom guest suite. 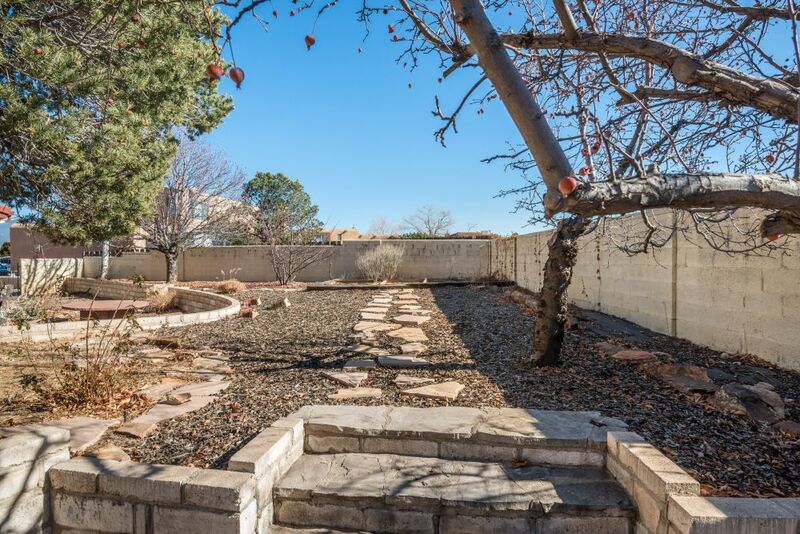 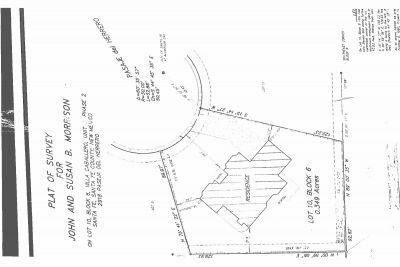 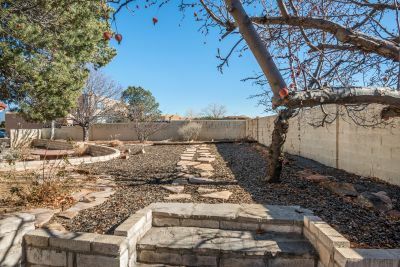 Outdoor areas include a large flagstone-paved portal and terrace, and generous walled, landscaped grounds with pinon and fruit trees, on drip/sprinkler irrigation on timer. Don&apos;t miss the large, separately fenced dog play yard. 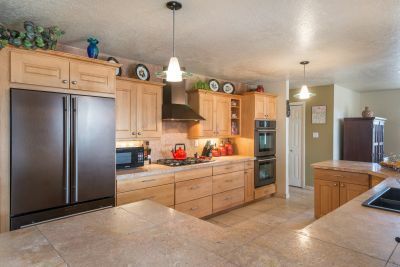 Extras: Cooking - Electric, Cooking - Gas, Garage Door Opener, Insulated Windows, Security System, Sprinkler/Drip Sys.